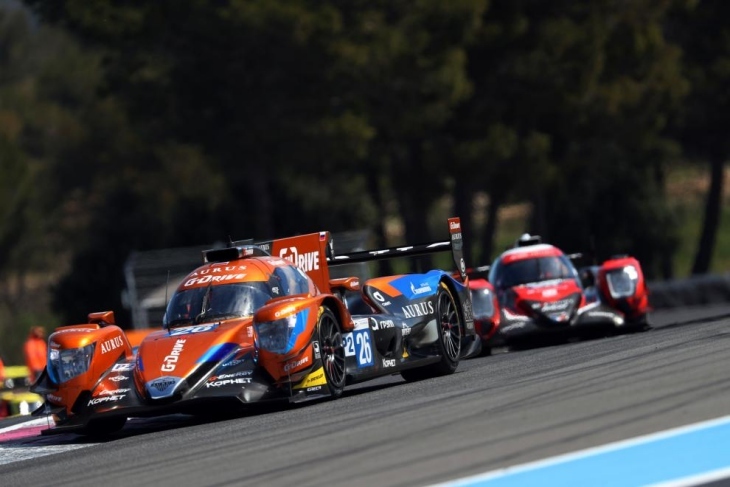 The first win of the 2019 European Le Mans Series season went the way of DragonSpeed today at Paul Ricard. 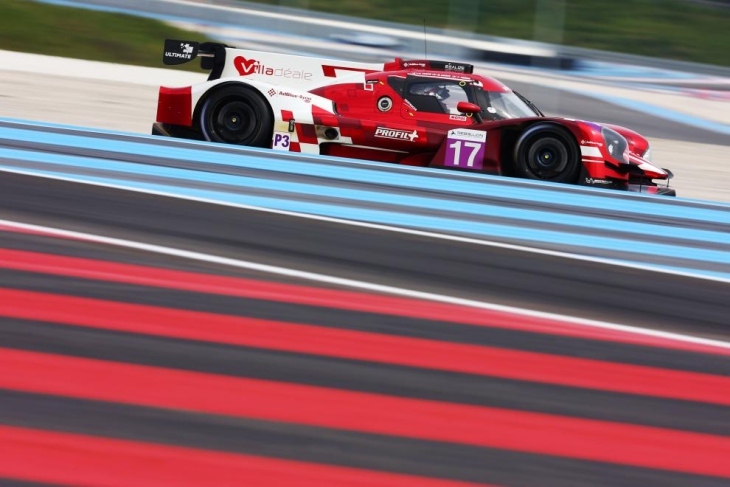 The American-flagged team’s Michelin-shod ORECA 07 Gibson took a comfortable victory in the end after strong performances from Henrik Hedman, James Allen and Ben Hanley. Elton Julian’s team springboarded into contention for the win early on, after Allen took the start in the car and from fifth charged to the lead of the race in the opening stint. After that, Hedman managed to stay consistent when he was passed the baton, before handing the car over to Allen again for the second half of the race. The 1-2 punch of Allen (in the car a second time) and team regular Ben Hanley (in for the final push) was too much for the rest of the field, once it shook out towards the end of the race, the team held a comfortable 20-second lead which was maintained until the flag. The result marks the first victory for the #21 DragonSpeed entry since Spa 2016 and gets the team off to a perfect start to the season, in a race which featured no Full-Course Yellows or Safety Cars. 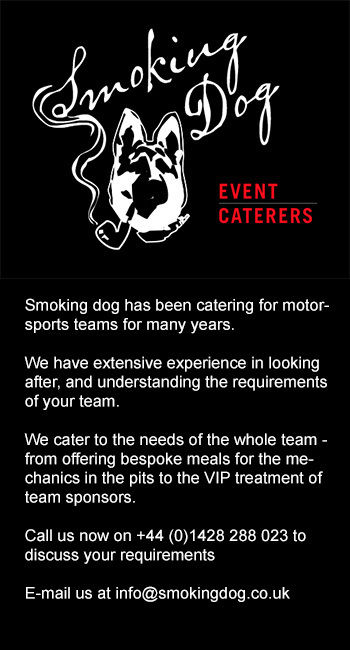 “All the guys did an amazing job and gave me a lead just to manage. We had more in our pocket but we didn’t need to take a risk. Really good start to the season,” said Hanley. Completing the podium behind the DragonSpeed ORECA were two other Michelin teams in LMP2, the #28 IDEC Sport 07 leading home the #28 Duqueine Engineering ORECA, which were in the running for podiums throughout. Missing out on a podium, somewhat surprisingly, was the pole-sitting G-Drive Racing Aurus 01. The car, which stalled on the Mistral on the parade lap, had a challenging race. Roman Rusinov, Job van Uitert and Norman Nato were unable to convert the car’s Qualifying performance into a win, struggling with tyre wear throughout, while the Michelin teams grew stronger. After a late race pass by Richard Bradley in the Duqueine ORECA on Nato, G-Drive’s car would cross the line fourth. 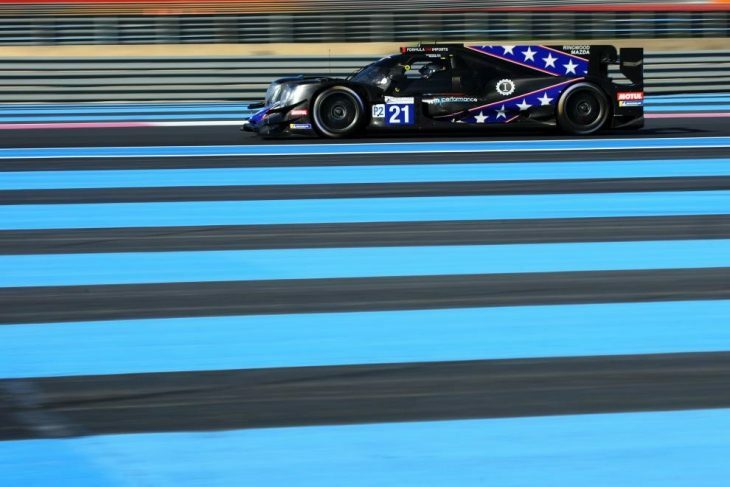 The first of the Ligier JS P217s, the #22 United Autosports entry, had a quiet run to a top-five finish, after an ironman stint by Phil Hanson through to the penultimate hour. The sister #32 car, which started third, had a tough day. Alex Brundle and Ryan Cullen finished 13th after struggling for pace and receiving a costly penalty which dropped them out of contention. In LMP3, Eurointernational dominated the first three-quarters of the race, but couldn’t take the win. Mikkel Jensen was untouchable during his double stint in the first half, creating a huge lead for Jens Petersen to cling onto. But towards the end of the four hours, the Ultimate Norma reduced the deficit, and Mathieu Lahaye breezed past Petersen to take the lead. That scored the French team a well deserved first ELMS LMP3 victory after coming so close on multiple occasions last season. It was a strange week for Eurointernational, which almost ended on the highest of high notes. The team didn’t have any issues racing a hastily sourced spare chassis after its original car was seized by authorities ahead of practice, forcing it to find a new one for Qualifying and the Race. Nevertheless finishing second is still a strong result. The car took the chequered flag ahead of the #13 Inter Eurpol Ligier which came from nowhere to finish on the podium. The Oregon Team Norma looked set for third. The team had a strong run throughout and stole the final podium spot off the Nielsen Racing Norma in the closing minutes of the race after 16-year-old Gustas Grinbergas muscled past Tony Wells, who was then passed by Inter Europol’s Nigel Moore. But karting champion Grinbergas couldn’t hold onto third and Moore took the place off the Lithuanian on the final lap of the race to give the Polish team a surprise podium. Inter Europol really did come on strong late, as its Ligier spent much of the four hours outside the top five. Oregon’s Norma, therefore, finished fourth, ahead of Wells in the Nielsen Racing M30 that completed the top five. The GTE race was full of action in this one, but not for the win. 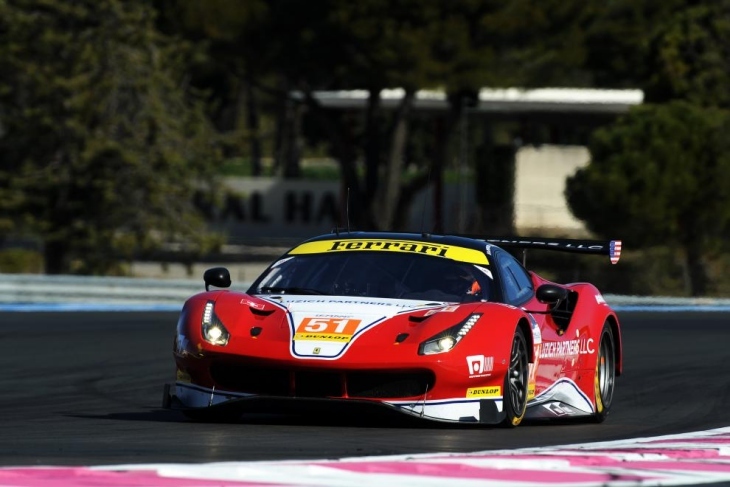 Luzich Racing, on its ELMS debut in GTE, dominated the field with its Ferrari 488 GTE. Fabien Lavergne was the catalyst for victory here, the Bronze driver rapid from the start, giving his teammates a huge lead of almost a minute for the rest of the race. All Nicklas Nielsen and Alessandro Pier Guidi had to do during their stints was hold station while competitors behind squabbled over the remaining podium spots. “The line-up was the key. Fabien did an incredible job with a double stint. We had to manage the pace throughout. It was a great race for Luzich in a new championship. Let’s hope we keep it going,” Pier Guidi said after the race. The #83 all-Female-crewed Kessel Racing Ferrari took a richly deserved second place. Rahel Frey, Manuela Gostner and Michelle Gatting were consistent throughout and had a mostly clean run. Frey was aboard when the team hit its only spot of trouble, the Swiss hitting the #8 Nielsen Racing Ligier into a spin at the penultimate corner, which fortunately for the team didn’t result in a late-race penalty. “It was exciting to drive on track, so much action,” Frey, who drove the car during the middle stint. “We had really nice pace, it’s a good moment to thank Kessel’s mechanics. When asked about the incident with the Nielsen Ligier, she offered an explanation and felt it was a racing incident. Rounding out the top three was the #77 Dempsey Proton Porsche 911 RSR. The Porsche looked like the car to have throughout the build-up to the race, as it had the ponies on 488s down the Mistral Straight. But, the highest placed 911 could only manage third after an almost race-long battle with the JMW Ferrari. 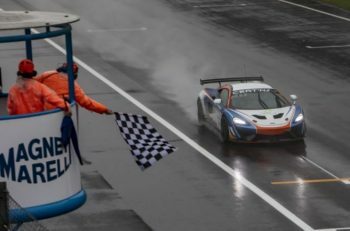 It took a late move by Matteo Cairoli on Matteo Cressoni to seal the deal and earn trophies for the Italian and his co-drivers Christian Ried and Riccardo Pera. JMW finished a strong but somewhat disappointing fourth, after a real show of force from Jeff Segal and Wei Lu before Cressoni’s stint, while the #55 Spirit of Race Ferrari took fifth. 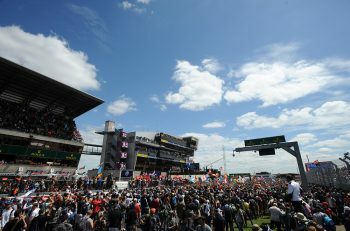 Next up on the calendar is the 4 Hours of Monza on May 12th.